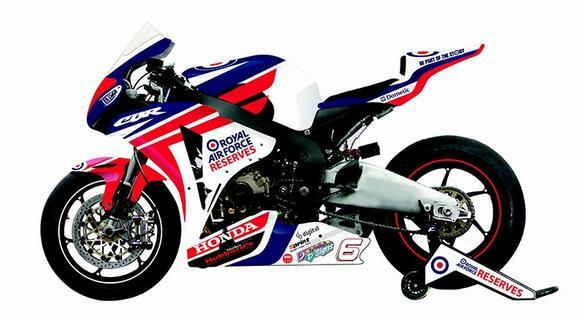 Simon Andrews has signed for the RAF Reserves Honda team to compete at the international road races this season. Simon will compete at the Isle of Man TT and North west 200 this year on a Honda Fireblade superstock bike. The team for this season has factory Honda backing, whilst alongside competing at the international road races Simon Andrews will be taking in a full season of racing in the national superstock championship. Already a podium finisher at a international road race having taken a 3rd place finish at the Macau grand prix in 2012 Simon Andrews is a rider who gets better with every road race that he competes in. In 2013 the aim for Simon will be to gain personal best lap times and race finishes at the Isle of Man TT, whilst at the North west 200 the aim will be to gain for the first time a podium finish. Overall Simon Andrews is a top rider and is one of a group of riders who are potential future Isle of Man TT winners.